Antigua and Barbuda is an island nation situated in the West Indies between the Caribbean Sea and the Atlantic Ocean, in the middle of the Leeward Islands chain. The country consists of two major islands and a small number of mostly uninhabited islands. Antigua is the largest island, with a total land area of 281 km² and a coastline of 87 kilometres. Barbuda – land area 160 km² – lies just 25 nautical miles (40km) north of Antigua and is easily reached by the Barbuda Express catamaran service (journey time of 90 minutes in nearly all weather conditions) or a 20 minutes helicopter flight. Antigua and Barbuda’s ideal geographic positioning 17°N of the equator makes the tropical twin-island jewel a regional travel hub, with excellent air links to North America and Europe. Home to over 100,000 people and blessed with 365 powder-white sand beaches, the country is revered as one of the most beautiful places in the world. Both islands are mostly low-lying islands with natural harbours, lagoons and sandy beaches along their coastlines and rimmed by reefs and shoals. Antigua was first explored by Christopher Columbus in 1493. However, the Spanish never colonised the island due to its lack of fresh water and it wasn’t until 1632 that the British started to colonise Antigua, with Barbuda first colonised from 1678. In 1958, Antigua and Barbuda joined the short-lived Federation of the West Indies and in 1967 became one of the self-governing West Indies Associated States, before being granted Independence from the UK on 1 November 1981. The country also joined the Commonwealth on that date and was granted admission to the United Nations on 11 November 1981. Antigua and Barbuda, along with seven other states, is a member of the Eastern Caribbean Currency Union (ECCU), a development of the Organization of Eastern Caribbean States (OECS), which uses the Eastern Caribbean dollar (EC) as its currency. The EC has been pegged to the United States dollar for the last 40 years, contributing to long-term financial stability. Antigua and Barbuda’s political system is based on the British parliamentary system, with English being its official language. The economy of Antigua and Barbuda is service-based and relies heavily on tourism. Its real GDP growth has tended to fluctuate over the past three decades as the country is more vulnerable than most markets to external economic downturns and natural disasters such as hurricanes. The country suffered badly from the global recession of 2008 which brought about the collapse of its largest private sector employer, steep declines in tourism and a rise in debt. As a consequence, the government has been diversifying its economy, with financial services, communications and transportation becoming more important. Bolstered by generous government incentives for businesses and entrepreneurs, foreign investment has contributed to the recovery of the economy, especially with regard to construction and real estate. In addition, Antigua and Barbuda launched its citizenship by investment program (CIP) in October 2013, raising $33 million in its first year alone. Since 2013, the economy has enjoyed a steady return to real GDP growth, with 2017 up by 2.8% and 2018 estimated to reach $1.61 billion, which would give a real growth rate of 3.5%. 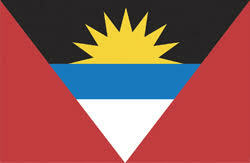 Currently, Antigua and Barbuda’s economy ranks 171st in the world, but 49th in terms of GDP per capita. Services represented 77.5% of 2017 GDP, with Industry accounting for 20.2% and Agriculture – which includes farming, fishing and forestry – contributing just 2.3%. The total contribution of Travel and Tourism to GDP in 2017 was equal to almost 52% share of GDP in 2017, of which 13% was a direct contribution. During 2017, the number of international tourist arrivals fell from 265,187 in 2016 to 247,320 in 2017 having previously shown steady growth since 2010. Two-thirds of all tourists come from the United States or the UK – 39% and 26% respectively of all visitors in 2017 – with Canada next (9%). Emphasizing how important the US is to Antigua and Barbuda, the total number of arrivals in 2015 was 250,450; of the extra 14,737 tourists who came in 2016, 14,035 were from the US. The net figures from 2015 to 2017 show that arrival numbers from the US grew by 1.8% while numbers from the UK declined by 9.2%. In each of the past few years, the country has been registering a significant trade deficit, which in 2017 was $534 million. Antigua and Barbuda imports most of its products from the United States (34.5% share by value of 2017 imports), followed in 2017 by Poland (21.6%), China (4%) and the UK (3.7%). Most of Antigua and Barbuda’s agricultural production is focused on the domestic market and its exports are currently led by ships and boats (51% by value in 2017), iron products and refined petroleum. The country’s economy was also knocked by Hurricane Irma in September 2017, which battered Barbuda with 185 mph winds and destroyed 95% of the island’s buildings. The entire population of Barbuda was evacuated to Antigua, which fortuitously was spared by the worst of the hurricane, and it was estimated that over $200 million worth of damage had been done to homes, buildings and infrastructure. Several countries including China provided international aid to repair homes and healthcare facilities, and the foreign direct investment funds raised by the CIP since its inception have been a vital contributor to helping the country recover. The ABCIP Act allows for anyone aged 18 years and above, in good health and with no criminal record, to apply for citizenship through one of historically three options. The application process is fairly rigorous and has to be done through an authorised agent licensed by the Citizenship by Investment Unit (CIU). Because of the due diligence process and depending on the complexity of the application, timelines can vary and be difficult to predict. But the benefits of acquiring citizenship in Antigua and Barbuda include low taxation, low residency requirements, no interview requirement, the opportunity to maintain dual citizenship, and visa-free access to over 125 countries. This is the simplest and most popular option, whereby the applicant pays a non-refundable minimum contribution of $100,000 to the NDF, which is a non-profit fund audited by an internationally recognised accounting firm and subject to parliamentary reporting every six months to allow for transparency and accountability. The main applicant can also include spouse and up to two other family members (dependent children and/or dependent parents over 58 years of age) for no extra money, other than the processing and due diligence fees which apply to every named person on the application. For a family of five or more, the minimum of required contribution is $125,000. NOTE: It should be pointed out that these prices are limited time offers in the aftermath of 2017’s Hurricane Irma and may be subject to increase after 31 October 2019. Applicants may make an investment of at least $400,000 in officially approved real estate projects. The real estate purchased must be held for at least five years unless purchasing an alternate real estate property of equal or higher value. A single applicant may make a minimum investment of $1,500,000 in a business, whether existing or proposed, that has been approved by the Antigua and Barbuda Investment Authority (ABIA). Alternatively, two or more persons may propose to make a joint investment in an approved business, in which case the total investment must be at least $5,000,000 with each individual applicant contributing at least $400,000 to qualify for applying for citizenship through an agent. This is a new option which Prime Minister Gaston Browne announced in September 2018, intending to raise funds to finance the new campus of the University of West Indies. This requires a minimum contribution of $150,000 rather than the $100,000 NDF option, but is specifically for families of six or more members and will include one year’s tuition-free scholarship at the university for one member of the family. The processing fees and due diligence fees will be in line with the current NDF fees as below.